Ecsenius springeri is the new blenny from Fakfak Peninsula, West Papua, Indonesia. Is being closely related to Bi-color goby (Ecsenius bicolor). The new blenny has some amazing colors similar to Bi-color. Half body being dark grey and later body having yellow. With a white straight line from the head to the tail in the bottom. 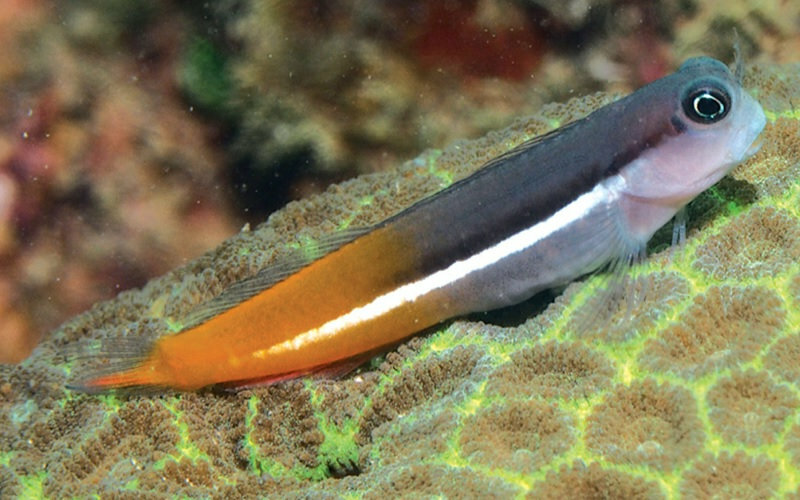 With this new blenny the total species in the genus Ecsenius becomes 54. The new species Ecsenius springeri is known from a small area in the Kokas District on the northern coast of the Fakfak Peninsula of West Papua Province in Indonesia. It was relatively common at the type locality, at a depth range of about 2 to 8 m, in rich habitat of coral-reef. The name of the new species is in honor of Dr. Victor G. Springer, Senior Scientist Emeritus and past curator in the Division of Fishes at the Smithsonian’s National Museum of Natural History, Washington, DC, USA. In recognition of his extensive and excellent research on this group. One can read more on the Ecsenius springeri at Reefbuilders. Of course, the complete set of papers are with Journal of the Ocean Science Foundation.